Tony and Pammie Bhullar have been the proud owners of Laser Sheer™ for over 10 years. 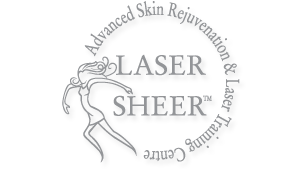 Laser Sheer™ has grown from a small company that only did Laser hair Removal, Microdermabrasion, and Chemical peelsto one of the most well established laser clinics in Edmonton. Laser Sheer™ won the Top Choice Hair Removal of Edmonton award in 2008. They also won the Consumers Choice award in 2007. We are an Accredited Member of the Better Business Bureau of Edmonton – Click on the logo for full details. After 10 years of experience, Laser Sheer™ has expanded into a Laser Training Centre and the owners of the Acne Clinics of Edmonton. They have moved from a small location on the South Side of Edmonton into North America’s largest Mall, the West Edmonton Mall. Call 780-489-1950 or drop into our Clinic at West Edmonton Mall.